Recently, Google said that mobile page speed would not be a factor in the mobile first index change, which means even sites that take 30 seconds to load would not be downranked in the search results despite serving a very poor experience to the searcher. But for those who thought mobile page speed wouldn’t matter at all need to rethink that position. Illyes said that the way Google calculates page speed for desktop doesn’t work for calculating it on mobile, so they need to launch a new one for mobile page speed. And using desktop page speed for a mobile index makes zero sense and would necessitate crawling the desktop version of the page to do so. 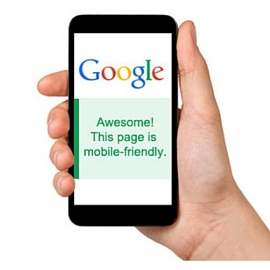 Currently, Google does not include page speed in their mobile first experiments. But Google is aiming to have page speed be a factor when mobile first launches, which is important for SEOs and site owners to consider, since many sites are still serving a poor speed experience on mobile, since currently, Google only uses the desktop page speed for ranking. So if you have a slow mobile experience currently, and you haven’t yet implemented AMP, then you might want to consider putting work into your mobile page speed, especially if Google is showing your mobile speed as excessively slow in their page speed insights tool. When Mobile First is closer to launching, Google plans to communicate more specifics on page speed as part of the mobile first index, and whether it will launch with the new index or as a component after. But whether page speed is included at launch or shortly after, site owners should not just be thinking about Google in terms of how fast – or slow – their mobile pages are, but also what a slow time does to the user experience and the associated bounce rate.